UrbanCrazy » A Parrott that was sick as one! 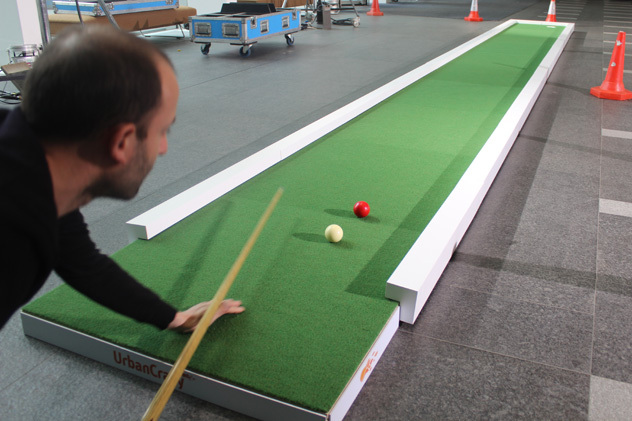 We were delighted to be asked back to The One Show studio, this time to convert one of our portable crazy golf courses into an ultra-long snooker ‘table’. But UrbanCrazy’s Entertainment Manager, Richard, was more excited than the rest of us. Why? 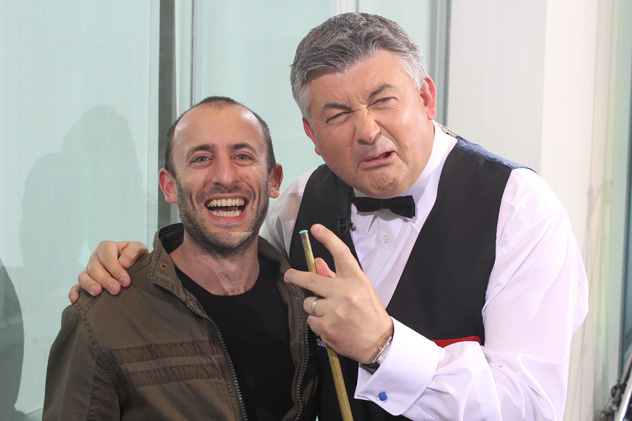 Because he’s a snooker fanatic and jumped at the chance of meeting the 1991 World Snooker Champion, John Parrott MBE. 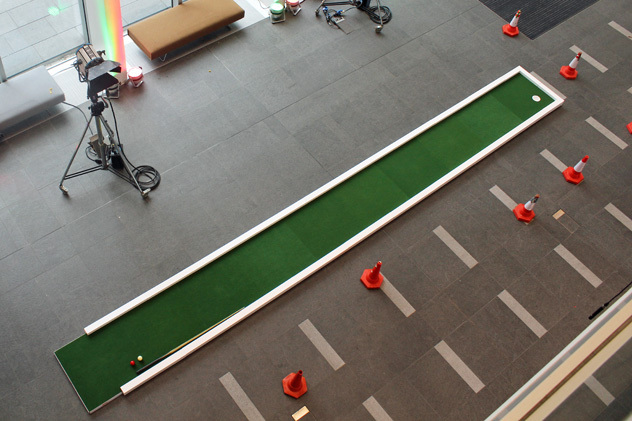 Chris Evans billed it as “The One Show, One Shot, Long Pot Challenge – the longest pot ever attempted on live television!” We had a lot of laughs as Chris and his co-presenter Alex Jones watched as John repeatedly attempted to sink the ball throughout the show, using our Richard’s cue and snooker balls. 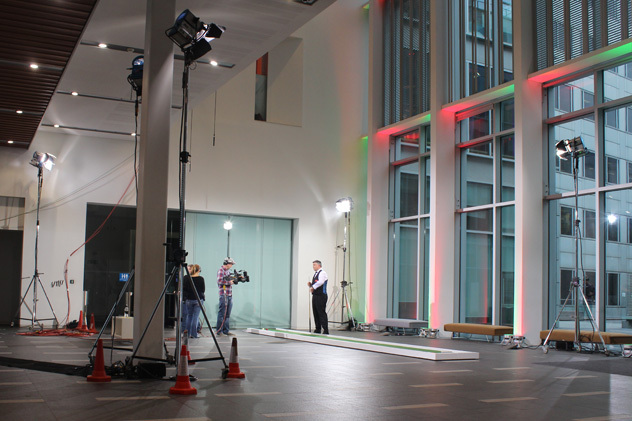 He kept missing what was a very testing shot, the surface playing a lot slower than a traditional snooker baize. Funnily enough, the only time he got it was in practice, in between live attempts. 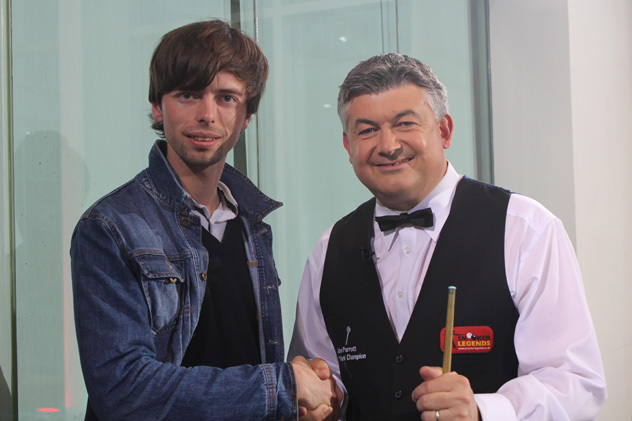 From the off, Chris Evans insisted he would invite John up to the studio only once he’d potted a ball, to chat about the World Snooker Championships that was taking place at the time. 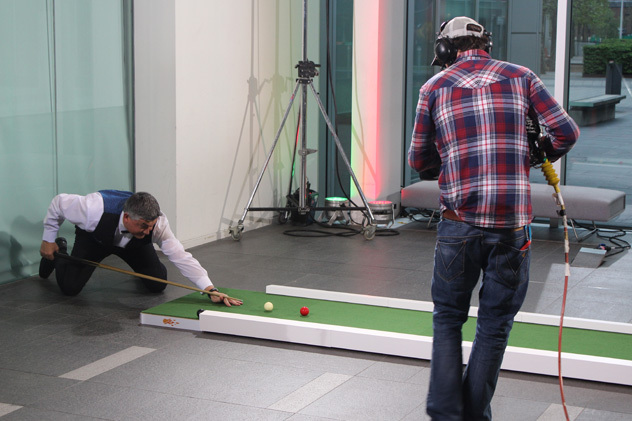 But in the end, with 10 mins left of the show, Chris showed mercy and allowed him to retire from the tricky task! Check out our photos in the gallery above and a video clip from the show, here. 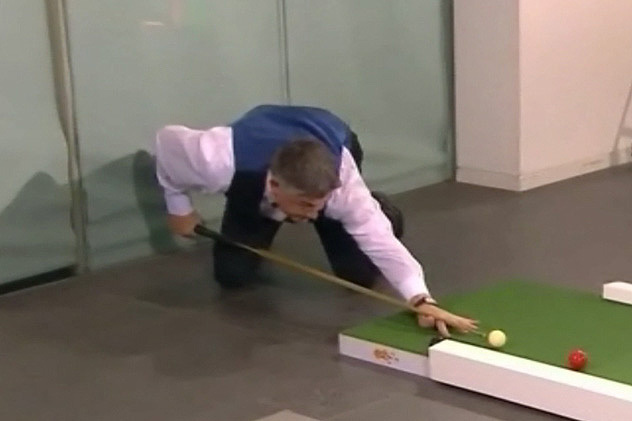 We enjoyed the challenge of creating this unique snooker-minigolf hybrid feature for live TV. 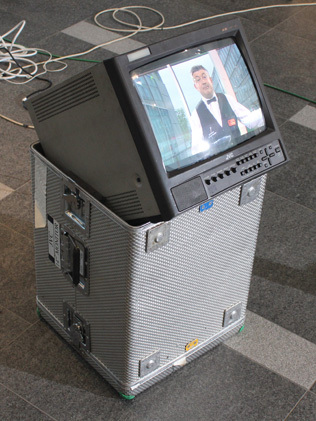 If you have any similarly crazy ideas for your TV show or event, we’d love to hear from you!